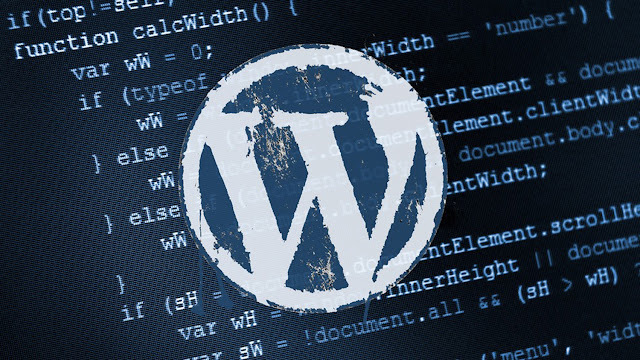 WordPress is one of the most prevalent content management software in the world. 28% of the top one million sites use WordPress and for good. It is flexible, adaptable, extendable and user-friendly. One can use it to run everything from a blog to a community site to an ecommerce store with forums as well as private messaging. There are two versions of WordPress- WordPress.com: Create a free Website or Blog and Blog Tool, Publishing Platform and CMS. If you are happy with the restrictions of being a free hosted blogger here at WordPress.com then you do not need to hire a web host. However, often overlooked, website hosting is one of the key components of every successful website. If you insist of having FTP access, uploading plugins and themes, and wish to edit the themes and templates, and you want to have advertising and affiliate links, and ecommerce transactions, then you do need to hire a web host and set up a WordPress.org install. When you don’t host your own site you can never be too sure about the security of your site in general. There are plenty of instances online about site owners having their profitable websites taken down for breaking a certain rule or condition. If you’re serious about building your website, then this is a risk you can’t take. However, when you choose the CMS, the security plugins, and other measures you can be sure that your site is much safer than it would be without a host. Moreover, most web hosting companies’ offer 24/7 expert support too, so if you ever face an issue, you can contact them right away. Another issue with free hosting platforms is co-branding, your website shares branding with the free host. This decreases your credibility with customers, and impacts the overall look and design of your site. In the free option you won’t be able to develop or customize your site according to your wish, because you’ll have limited access to plugins and tools, limiting the growth of the website. When you host your own website you’re rightly in control. You can customize your site as you see fit and the only limit here is your own creativity. WordPress hosting can vary depending on the server configuration and bandwidth. People, in general have a tendency to choose the cheapest offer, but it may not always be the right choice. Also, you must remember that you will get what you will pay for. The price of WordPress hosting depends on factors like the server health, support quality amid others. The price of the hosting will vary with the plan hence the best option is to stay in the budget and choose a hosting provider that delivers the features that you are looking for. The features that you need to run the WordPress site should be the major deciding factors. When it comes to performance you must always choose a hosting provider that guarantees up times, bandwidth, super-fast servers and sufficient space for accommodating the needs. Some vital features that you should consider include security, control panels and hosting. It is the web host provider’s customer support that will eventually speak volumes about the company. Before choosing the web host for the WordPress website you must make sure that they possess a good reputation when it comes to customer support. It is only a reputable hosting provider that will offer myriad ways of contact which includes chat, email, a phone number and 24/7 service along with good online reviews. When you start to get more hits on your website, server becomes busy affecting the load speed of all websites hosted on it. Hence, web hosting speed must be considered. You don’t want your readers to wait for the site to load. There are two categories, namely typical website hosting providers and managed WordPress hosting. A managed WordPress hosting company will specialize in offering hosting services for the WordPress podium, which means that only WordPress sites can be hosted with them. This is highly recommended as their resources, indeed are dedicated solely to the WordPress platform and concerted efforts are equivalent to improved results. In a nutshell consistency, security and speed are the fundamental factors that you must deliberate over while selecting the best WordPress Hosting. However, the key component here still is to pen down your needs and then step-by-step evaluate what the WordPress hosting provider offers.